In 2014, Mylene and I were on vacation in Europe. She had planned the entire trip and left one day for me to plan. Halfway through our stay she asked, “What would you like to do on our last day?” I went online and found a company that advertised that they locked people in a room and where they had to solve puzzles to get out. It sounded interesting and Mylene loves puzzles so we made a reservation. The total cost was $132 for just the two of us. That was steep but hey, we were on vacation! When we received our confirmation email we were told to arrive no more than 10 minutes early and to enter from the rear of the building. When we arrived, we saw the sign and an arrow pointing toward an alley. Not very reassuring! And we had to ring the doorbell because the door was locked. I couldn’t believe we were going through with this. When the employee opened the door, she had a friendly smile and invited us to come in. As we entered the building there were stairs that descended into the basement and a very musty smell. This place was creepy with stone walls and steel doors and the employee was the only staff on duty. We were told to sign a waiver that we could not understand because of the language barrier and to leave all our personal belongings on the couch. Yes, no lockers. A couch!!! We were escorted into this stone wall room with no windows and a steel door. Now at this point I’m thinking she could leave us in here and no one would ever know. Mylene could already imagine the headlines in the newspaper back at home! After a few minutes wondering what we were supposed to do, we dug in trying to find clues and solve puzzles and we were very bad at both. The employee felt sorry for us and she gave us a lot of help and extra time to beat the room. We must have received at least 20 hints! Mylene and I had dinner afterwards and all we could talk about was who found what or did what. We were blown away with how much fun we had. A few days after being home we both decided to create an escape room in our home office. Once the room was completed, we had to find someone willing to try it out. So, we invited my family over for dinner. After dinner we asked if they would like to play a game and they were all up for it, but had no idea what the game might be. We told them we were going to lock them in our office and they needed to find a key to escape. They all looked at us like we were crazy. After a few minutes of convincing they decided to partake. The room they played was the 70’s room, which was the very first room we created at Exit Strategy. My family had a great time playing the 70’s and we continued to test and tweak that room with more family and friends not ever planning on opening an escape room. During this time Mylene and I both had full-time jobs and even though we were hoping that we could turn Exit into a business, our goal was really just to share the fun we had with others. 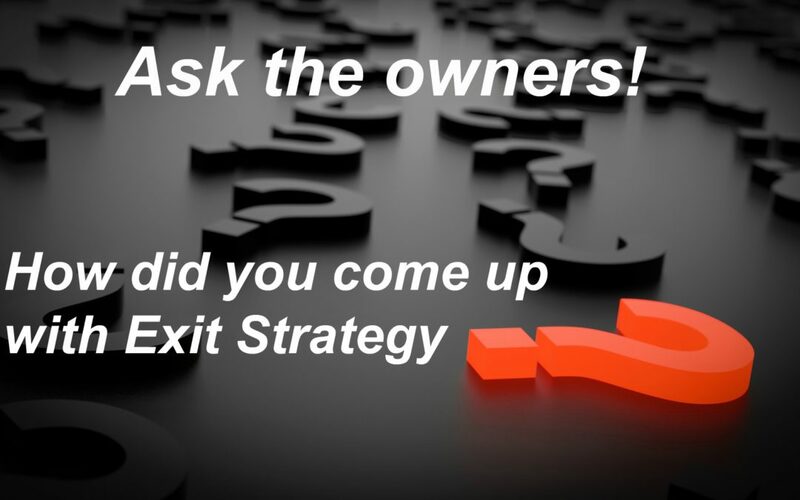 Our first Exit Strategy location was only 1200 square feet and when we opened our doors in August 2014, we only had the 70’s. We opened Cabin in the Woods two months later. Within a few more weeks, we knew Exit had legs and needed more of our attention. And more space! Mylene quit her job and we moved to our current South location. 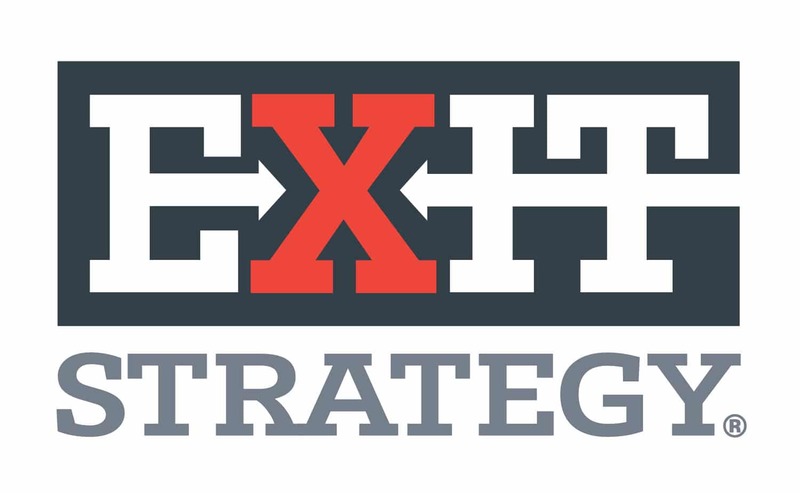 2 years after that move, we opened our second location: Exit Strategy North in the University area. Once fully open, that location will add 4 rooms to our collection. Because we still have room ideas, as soon as North is complete, we’ll go back to South and start switching out rooms! Do you have questions you’ve been wanting to ask us? We’re listening!